www.sdhumane.org > About Us > News Center > Stories > We're in search of veterinary leaders. Can you help? We're in search of veterinary leaders. Can you help? San Diego Humane Society has experienced substantial growth in the past six months. In addition to providing animal services in six additional cities, and doubling the number of companion animals in need of our care from 20 to 40,000, we also opened California’s first Center for Shelter Medicine. Not only is this new hospital vital to treat these animals, it also represents the future of shelter medicine. This beautiful new facility will serve as a teaching hospital to care for the tens of thousands of homeless, injured or neglected animals entering San Diego shelters while advancing the field of shelter medicine nationally. To support San Diego Humane Society’s continued growth and excellence, we’re looking to fill several leadership positions on our medical team, including a Chief Medical Officer, Director of the Center for Shelter Medicine, Director of Veterinary Education and a Hospital Director for our San Diego Campus. These positions are instrumental in molding the vision, direction and leadership of San Diego Humane Society’s shelter medicine program. They also offer a unique opportunity for veterinary professionals to shape the future of shelter medicine, which has only been recognized by the AVMA as a specialty field since 2014. Shelter medicine aims to elevate and promote a better quality of life for shelter animals and increase the consistency of care across the U.S. But there’s another side to this emerging practice, and that is the number of animals who don’t receive veterinary care even though they have homes. More than 80 percent of pets in underserved communities never see a vet. In addition, many of the animals entering shelters arrive with little to no medical history and may even be victims of neglect or cruelty. All of this makes the population of animals in shelters more challenging – and all the more rewarding – to treat. Work in a world-class facility. Influence the emerging field of shelter medicine. Shape the shelter veterinarians of tomorrow. Take care of our region’s homeless pets. Help our community stay at zero euthanasia of healthy/treatable animals. Lead a robust, well supported team of veterinary professionals. And, ultimately, change the world. Experience in shelter medicine isn’t necessary for this rare opportunity to work in an innovative, new hospital among a supportive and robust medical team. We’re looking for candidates who will support our mission to Inspire Compassion and help us change the world. Please share this message to help us find the very best candidate-leaders to care for our region’s homeless animals. You can learn more about these opportunities here. And check out this tour of our new Center for Shelter Medicine, covered by NBC. Please spread the word and join us in creating a more humane San Diego. Together, we can ensure all animals in Southern California have the care they need and deserve. 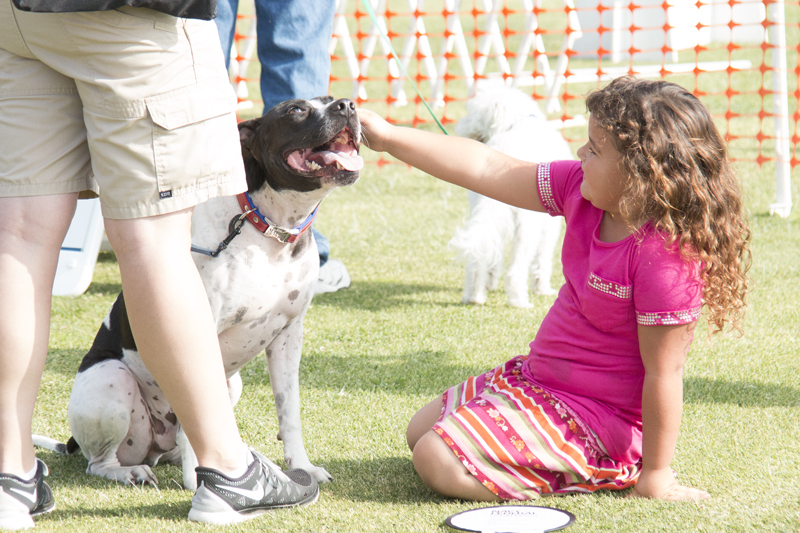 Here are simple steps you can take to help ensure safe interactions between children and dogs. Familiarize yourself with the warning signals dogs typically offer when they’re uncomfortable and prepared to defend themselves. This will help you prevent dog bites. A dog delightfully eating from her food bowl is a common sight here at San Diego Humane Society. But for some animals, like Cecee, that meal means so much more.